Traditionally at this time of year we tend to launch ourselves into the festive season full steam ahead, with weddings, celebrations, parties and of course our famous Christmas Grotto complete with petting reindeer and if it wasn’t for the early mornings and late nights, particularly in the summer months, it would be easy to forget that we are still a working farm, that happens to have the most stunning views and event facilities such as the wedding barn and café. 2017 has been an absolute joy and privilege hosting weddings here at Skylarks for such amazing couples. We have sat with them in the planning stages and listened to their dreams and expectations for their special day with genuine interest, and excitement. I’ve said this before I know, but my job really is the best job in the world, which is made even better by the people we have met over the last 12 months, so I just wanted to just take a minute to thank some of them. Starting with all the couples that have held their special day with us, and allowed us to play a part in making their day memorable. To their friends and family who have been just as delightful to meet as the lovely couples themselves. To the many wedding professionals who have provided flowers, cakes, décor, entertainment and photography – let’s just hover over this one for a second….. Some of the photographs taken at our weddings have been amazing, and we have been so lucky to have been given permission by the photographers to use some of the photos on our social media and website. Each photo has without doubt beautifully captured not only the couples day but our venue in the most perfect way, we could not be more pleased and hope to meet you all again next year. Skylarks this year has formed a close relationship with Event Buddy (UK) Limited who have helped us dip our toes in the slightly different forum of events, holding two extremely successful wedding fayres this year. So we would like to thank them and all the wedding suppliers that supported us by show casing their products with us both in March and October this year. We hope to see you again in 2018. With over 250 people through the door at each of these wedding fayres we would also like to thank our visitors for taking the time to pop along. Staying with events we held our first Halloween event over four nights; again with the support of our Event Buddy, turning our beautiful wedding venue and woodland into what can only be described as a zombie fright fest, we were extremely pleased with how it went and will hopefully be doing it all again next year so watch this space. 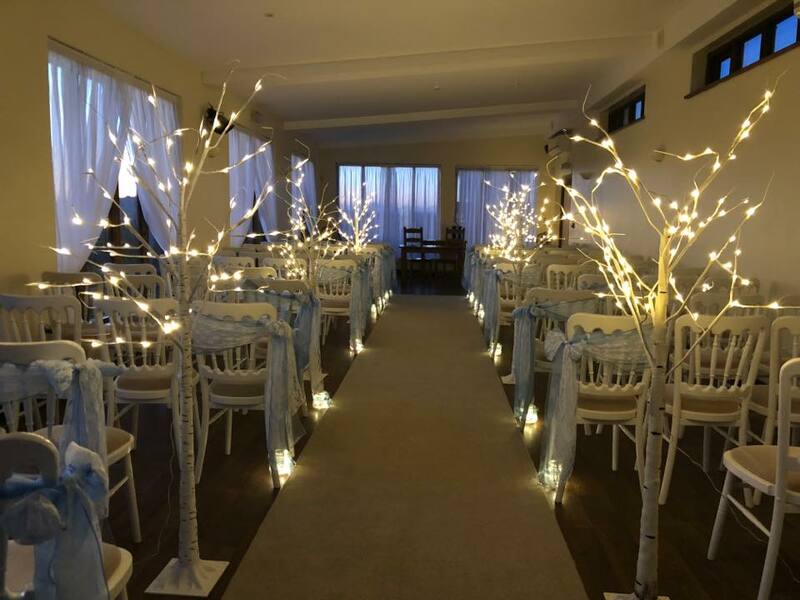 With just days now until Christmas, there will be no slacking here at Skylarks, with weddings booked early in the New Year along with a few events along the way, we have a lot to get on with. So from everyone at Skylarks “we wish you a very merry Christmas and a Happy New Year.